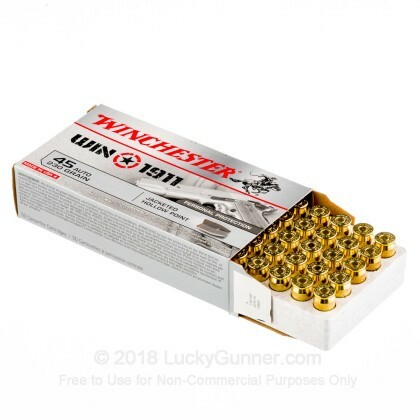 This .45 ACP ammunition is an excellent target or self-defense load for 1911s (and other .45 Auto pistols). 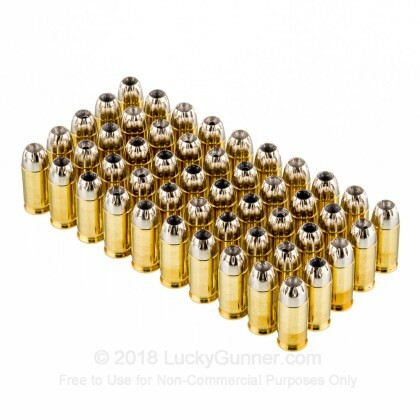 Each cartridge in this box of 50 fires a heavy 230 grain jacketed hollow point bullet that delivers good expansion in a self-defense situation. 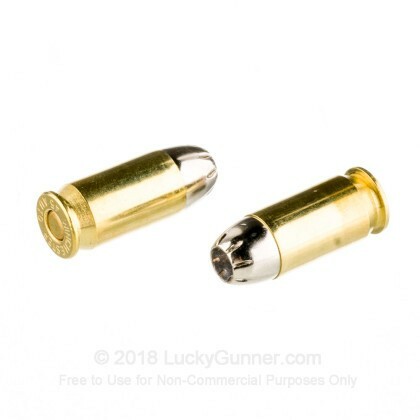 The bullet also excels at target shooting with a shape similar to that of a semi-wadcutter. This produces nice, clean holes in paper targets that should be visible from the firing line. 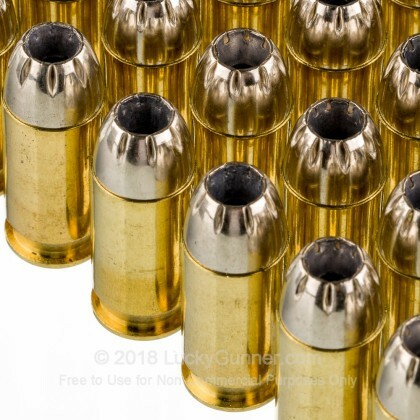 Each round produces a muzzle velocity of 880 feet per second, slightly above-average for this weight category but still within standard pressure limits. 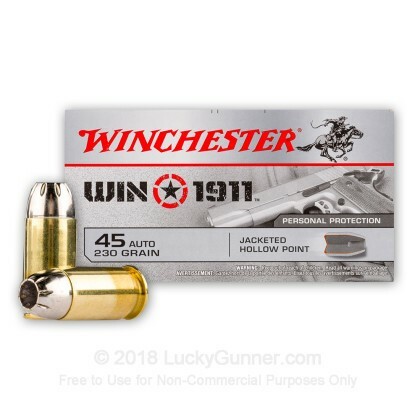 This ammo is great for compact or full size handguns. Winchester ammo is made in Oxford, Mississippi and has been produced in the US since the company's founding in the 19th century. The Oxford plant opened in 2011 and employs over 1,000 people. It uses state of the art machinery to produce quality ammo that's affordable for all American gun owners. 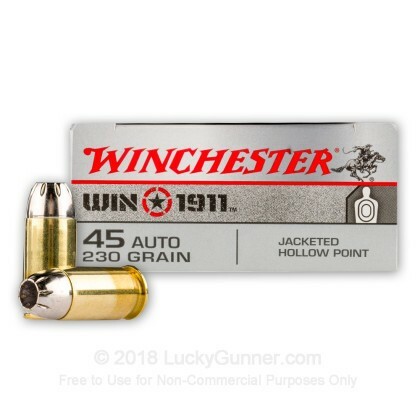 We also have this 45 ACP - 230 Grain JHP - Winchester Win 1911 - 500 Rounds ammo in stock in a bigger quantity.